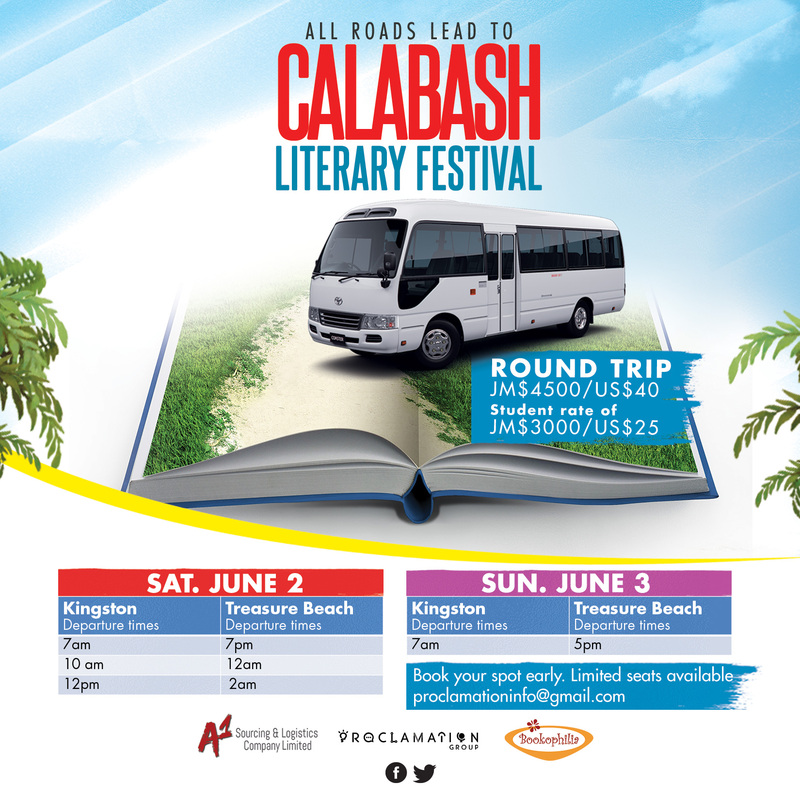 If you’re looking for transportation to Treasure Beach for the Calabash weekend, you’ll be happy to hear that there’s a bus service to and from the Calabash Literay Festival! 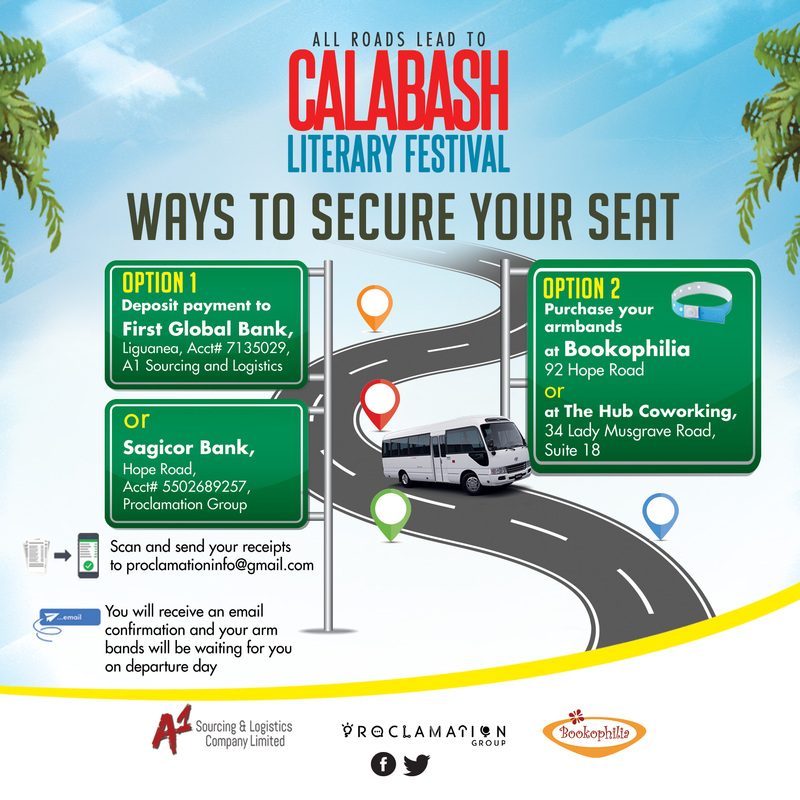 Buses depart Kingston at 7am,10am and 12pm from Bookophilia. 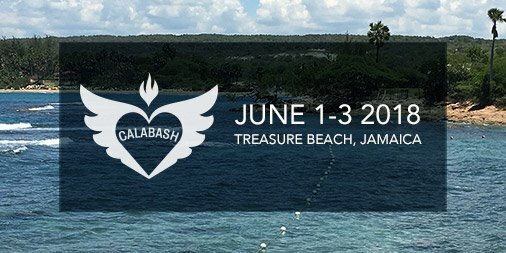 There’s a Sunday bus departing Kingston at 7am and departing Treasure Beach at 5pm. Special arrangements can be made for Friday June 1 but that is based on demand. Cut-off date for bookings is May 30. Booking s are confirmed with payment. Armbands can be purchased at The Hub Coworking at 34 Lady Musgrave or at Bookophilia. Payments can also be made via direct deposits. See flyers for details. Non-stop trips with complimentary water and snacks. So which bus will you be on? 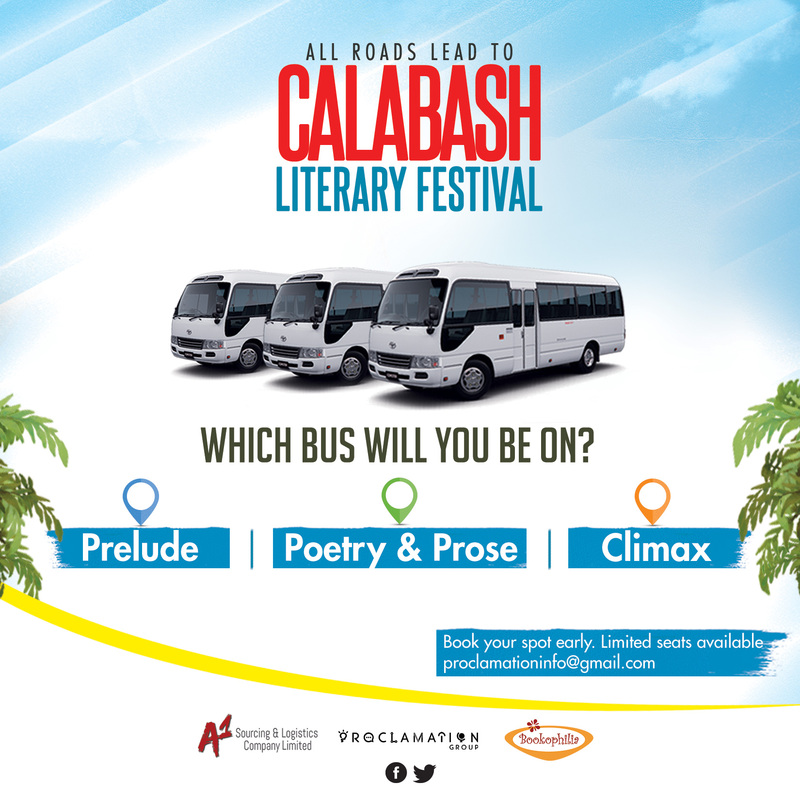 The Prelude, Poetry and Prose or Climax? A1 Sourcing and Logistics offers a logistics and concierge service as well so if you have needs for transportation from other parishes to Calabash you can contact them. Spread the word. Don’t wait! Seats are gonna go quickly.